We went away for a short break during the school holidays. 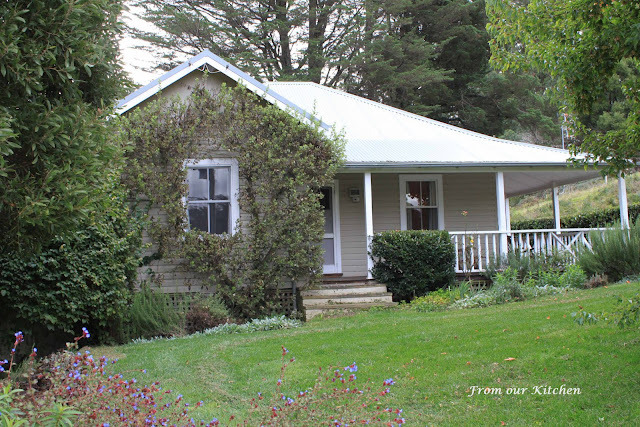 This time we booked into a charming country cottage in the Southern Highlands. Brookville cottage is located in Wildes Meadows, about 20kms from Bowral. 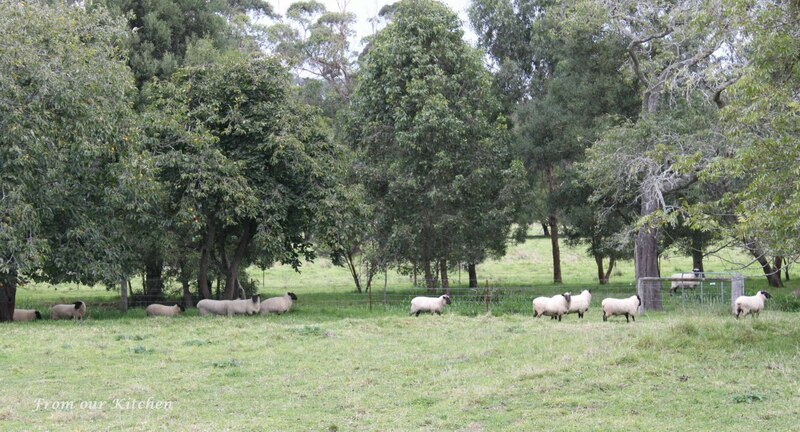 I spent my first two years in Australia living and studying in a boarding school in the Southern Highlands, and I love the area with its cool weather and vast green fields. The cottage is located on a working farm with cattles, alpacas and hens. It was wonderful to be able to spend some quiet time in the country to recharge. Brookville cottage is located on the hill on the property. The views from the cottage were breath-taking and amazing. From the dining room, the view looks out to the northern end of Fitzroy Fall Lakes. 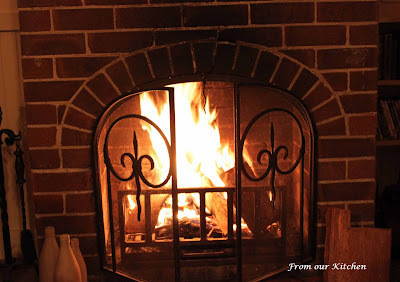 Hubby's favourite feature was the open fire place. Thankfully the weather was cool enough in the evenings for a fire to be lit. We had packed some marshmallows and girls enjoyed toasting the marshmallows. Our hosts, Catherine and Hugh, were away that weekend. But they had arranged for their friendly neighbour, Judy from Fairway Farm, located just up the road from Brookville, to look after us. Judy dropped by in the late afternoon on our first day to ensure that we had everything we needed. 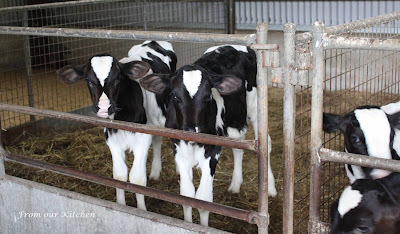 She also invited us to visit her farm to see the calves, baby lambs and also watch how cows are milked. Ashleigh and Caitlin had a great time at Fairway Farm. We watched how the cows were rounded up to be milked, then the cows are milked six at a time. it was interesting to see the different characteristics and quirks of the animals. As the cows walked into the milking shed, they each knew which booth to take. There was no pushing or shoving, each walked in an orderly fashion. Then, the cows' teats were washed before the suction pumps were placed on each teat. The milking process begins, each cow takes a few minutes depending on how much milk there is. As the milk is being pumped, the cows have their heads into the feeding troughs, totally oblivious to the whole process. When the udder is empty, the pumps are removed and the teats are then smeared with iodine, just before the cows' teats are sent out to the paddocks. 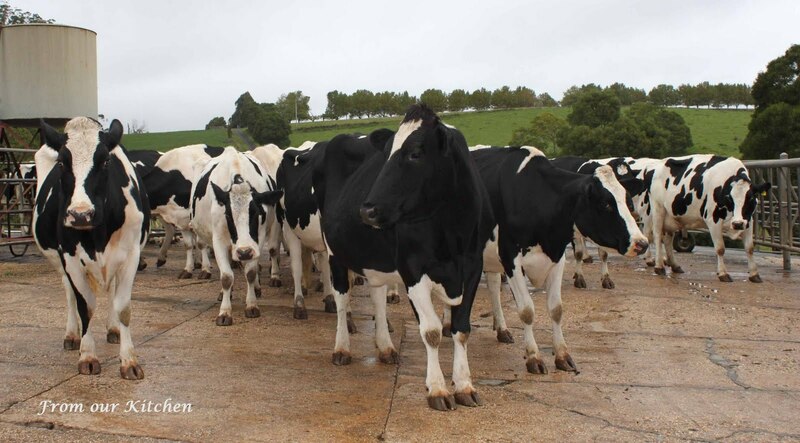 The iodine is to prevent any bacteria getting into the cow via the teats, as the teats remain open for about 30 mins after. It was an eye-opening process for us city folks and Byron (the milkman) was happy to explain each step. After watching several cows being milked, Judy showed us where the milk is stored, in a large stainless steel cooling vat, until the milk truck comes the next morning to collect the milk and transport the milk to Penrith, located in Sydney's west for processing. Judy also mentioned that there is very little money in milk now for the farmers. Until July this year, farmers are getting $0.39/litre from the retailers like Coles and Woolworths. From July, that price will drop to $0.20/litre. Note, the current RRP for milk is $1.00/litre for Coles and Woolworths brand. To survive and earn an income, many farmers now have other sources such as farmstays, beef cattle etc to supplement. Prior to the milk deregulation, there were about 63 farmers in the local area, now there are only 9. 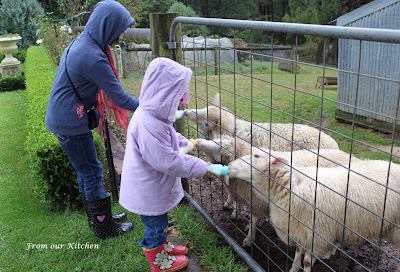 Judy asked Ash and Cait if they wanted to feed the baby lambs and calves. They were so excited, despite the pouring rain, it was a resounding yes. Armed with baby milk bottles (those for human babies), they set off to feed the baby lambs. After the lambs, it was the calves' turn. There were about 12 calves in the shed - 3 were still under 5 days old, so had to be fed via the bottles. The older calves drink directly from the bucket. Girls loved the experience even though it ended with a calf knocking a bucket of milk over them. It was wonderful for my two city girls to experience a little bit of farm life. 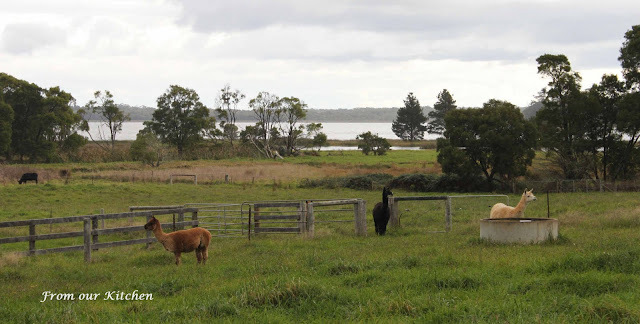 Visiting Fairway Farm was the highlight for them. Fairway Farm also has accommodation for farmstays. Definitely worth checking it out for next time. What a placid getaway so suitable for the autumn school holidays. I love the pix of Ash and Cait feeding the sheep. such a beautiful place!!! and i love the alpacas and sheeps!!!!!!!!!!! What a gorgeous cottage. Sounds like a great break, and the girls must have had such a great time. 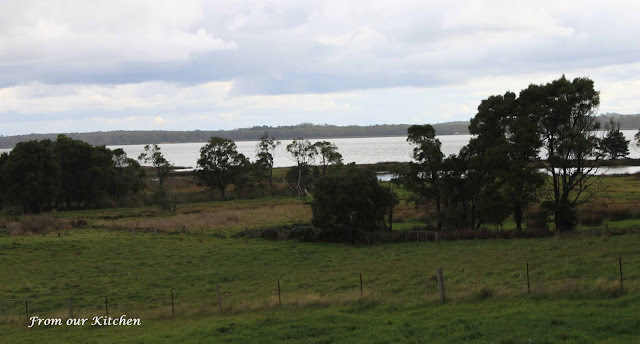 Will check that cottage/farm out for our next getaway, I love the Southern Highlands too.